COVINGTON, Louisiana —- (May 23, 2011) Stirling Properties announces their appointment as the management firm of an office building in Mobile, Alabama known as Bel Air Park II. The management appointment, effective April 27th, 2011, was awarded through foreclosure by owner Wells Fargo Bank N.A. Bel Air Park II is a two-story office building containing 128,000 square feet of office and ground floor space. 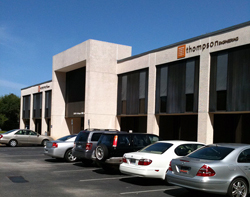 Tenants include Thompson Engineering, Blue Cliff College, Virginia College, AT&T Services and Allied Electronics. “Stirling Properties has had a history of maximizing value and developing comprehensive management plans and we plan to affect those strategies to meet the goals of the owner of Bel Air Park II,” said Donna Taylor, Stirling Properties’ Senior Vice President of Asset Management and New Business Development. With the addition of this appointment, Stirling Properties’ office management portfolio now includes 25 buildings throughout Louisiana, Mississippi and Alabama which total over 3 million square feet of managed space. The entire management portfolio totals close to 13 million square feet and encompasses the management of office, retail and industrial properties as well as residential condominiums, golf courses and golf course communities. For more information about Stirling Properties’ services, please contact Donna Taylor, Senior Vice President of Asset Management & New Business Development, at 1-888-261-2022 or 985-246-3758 or via email at dtaylor@stirlingprop.com.